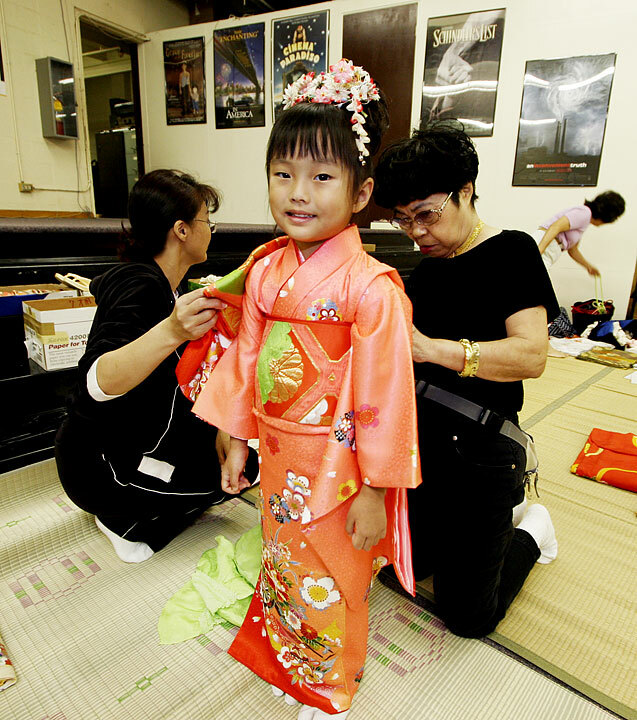 A kimono dressing celebrating seijin-shiki, or the "coming of age" into adulthood, was sponsored by the University of Hawaii Foundation yesterday at the University Lab School. 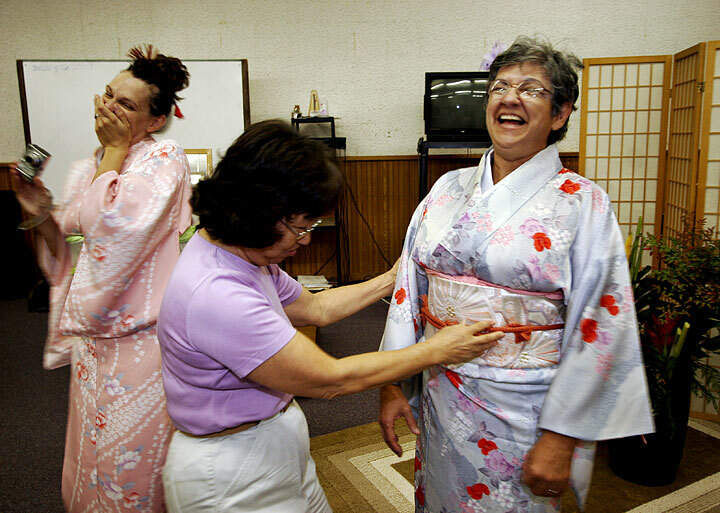 It was under the direction of Jean Sakihara, chairwoman of the University Laboratory School Kimono Project USA. Traditionally, the coming-of-age kimono dressing is for women who are 20 years old after January, although girls of all ages were dressed in kimonos yesterday.